I am a little bit of a magpie (I know that is a massive understatement but just go with me here), so a Swarovski exhibition at the Design Museum sounded like my cup of tea. The exhibition challenged 15 artists/designers to “explore the future of memory in the fast developing digital age”. 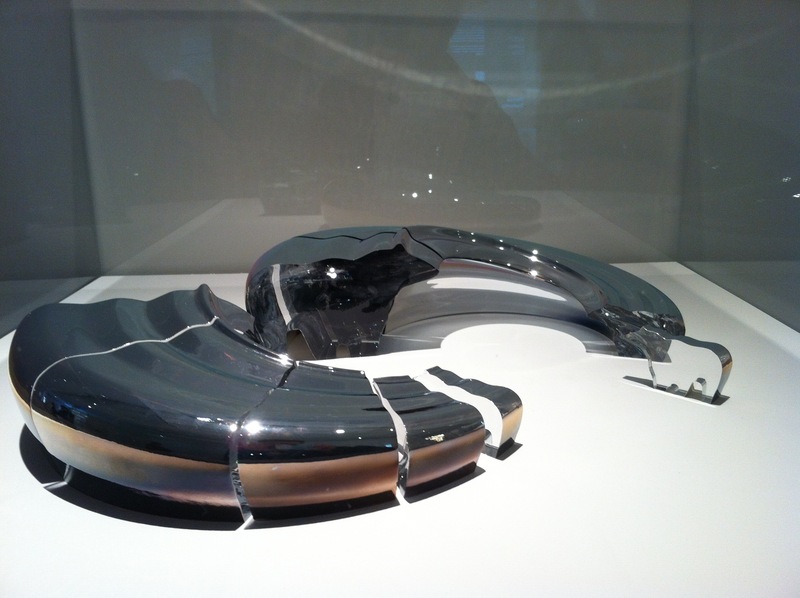 There was some very cool (and shiny) creations, but what really tickled my pickle was Unfamiliar Mass by Hye-Yeon Park. The ‘natural’ crystal shapes are fluid and touchable to begin with, but the magic happens when you cut a cross-section … you get a mini polar bear. Cut a different cross section and you get a slightly bigger polar bear. Keep cutting and you end up with an army of mini polar bears ready to wage war on global warming. It is very rare that you get a beautiful object with cute factor. Even rarer when this was in part created by a multinational. Win!